Thermal desorption unit is normally known as TDU. It is a kind of Ultimate equipment for oily waste management. The Thermal desorption unit (TDU) is a High-tech products, few company has the capability and technology to make it. GN Thermal Desorption Unit is an ex-situ, non-incineration technology. It is designed to separate hydrocarbons from various matrices including oilfield drilling cuttings waste, oil based drill cuttings, oily contaminated soil, oil sludge and sand, filter-cake, tank and tanker bottoms, organic-based hazardous waste and contaminated soil in a non-oxidizing atmosphere without destroying the hydrocarbons. The TDU technology has been used extensively for waste management, the main function is for recovery of the oil from the waste material as a sellable product throughout the world. Many clients showed great interest on the design of GN Thermal desorption unit (TDU) technology. 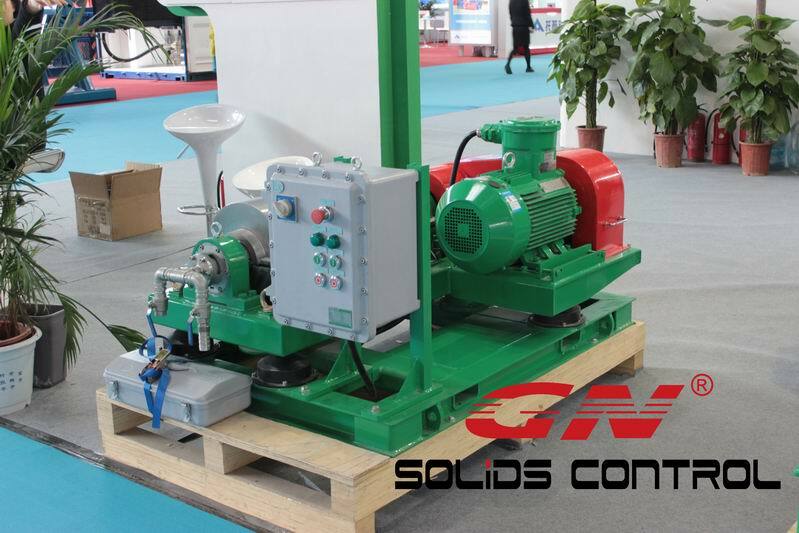 There are mainly 2 designs developed by GN Solids Control. From 2015 to June, 2016, GN Solids Control have been working on the design of the drum type TDU. But GN stopped that project after 2016. After that GN Solids Control shift to design the screw type TDU from July, 2016. 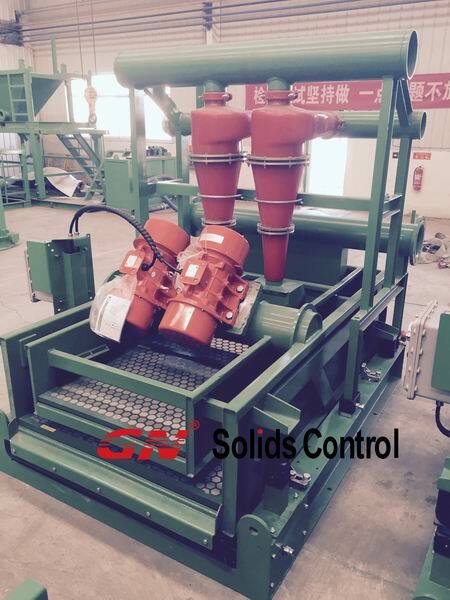 So now, GN Solids Control does not make drum type Thermal desorption unit (TDU). GN Solids Control latest design on is similar to TPS, but not TPS, TPS is a single screw in one tube, with different tubes. 1) One tube, two auger system for self cleaning, it’s better than the single tube system. 2) Temperature can go up to 700 C degree which suits the drilling cuttings and oil sludge to recovery oil and water. 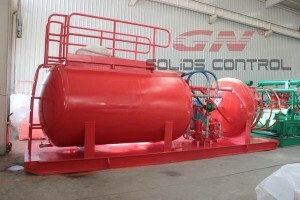 3) GN Solids Control have a dust removing unit before condensing, so it makes it easier for oil water, solids separation. 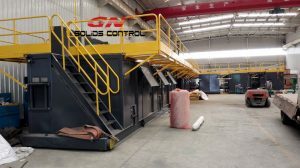 GN Solids Control already have the major components, like tube material, burners, air lock valves and Fin-Fan coolers etc in the factory to shorten the manufacturing time. For any questions, please contact GN Solids Control sales team for support. 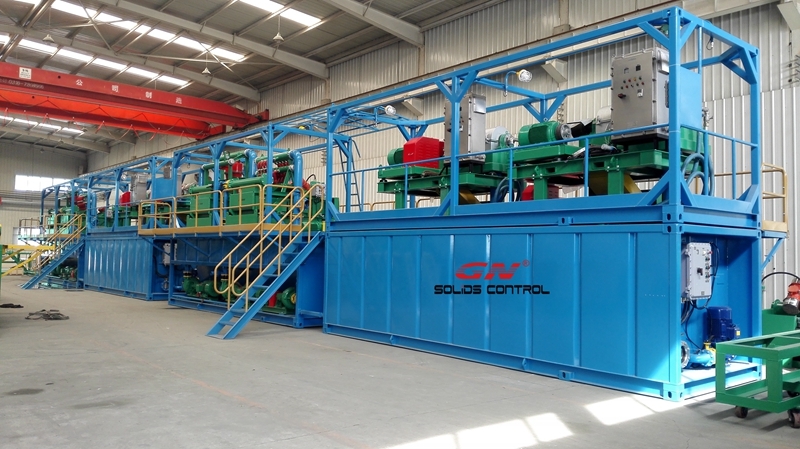 GN Solids Control made an oil-based drilling cuttings treatment system for a CNPC company. GN Solids Control made and designed and system per client’s job site situation. So it can suit for the clients’ situation well. Clients are happy with the performance of the OBM treatment system. 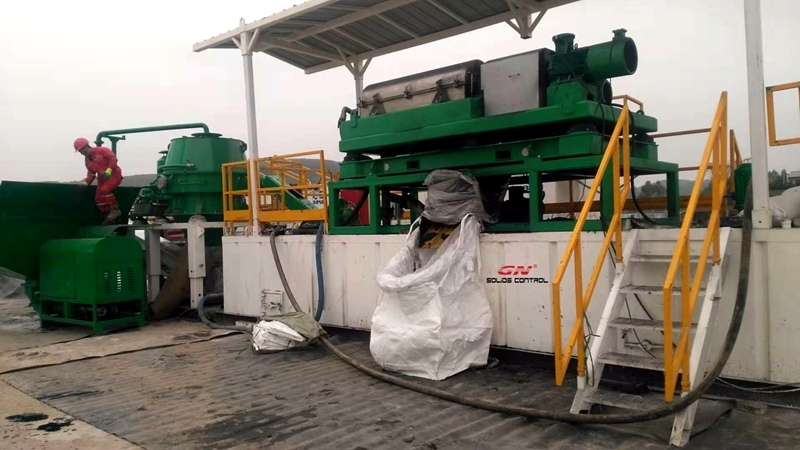 Both the team leader and job site workers are satisfied with the system, and they said that, after applying GN waste management system. They can recovery more usable drilling mud. Their drilling waste and their drilling cost are both reduced. And they can save cost and manpower on the waste material shipment. The oil based mud treatment system made for CNPC is a complete package. 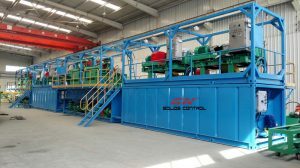 It is a skid mounted cuttings drying system with processing equipment, mud and cuttings transfer equipment, and electric control system. Firstly, there is a vertical cutting dryer. The vertical cuttings dryer is mounted on a separate skid. VG dryer is also called VG centrifuge, it is the major equipment to treat the oil based mud and cuttings discharged from shale shaker. GN high quality vertical centrifuge can reduce the oil on cuttings to as low as 3% ~ 5%. In many countries and regions, less than 3~5% OOC can be discharged directly. Even not, it is already very dry like powders. It is easy for movement and for next process treatment. Secondly, there is a 14 inch decanter centrifuge in the oil base mud cuttings drying system. The decanter centrifuge is used after the vertical centrifuge to reduce the mud weight. Enable the recovered mud qualified for drilling activity. 3 sets screw conveyors are equipped in the system. One screw conveyor is located under the shale shaker to collect drilling cuttings discharged from shale shakers. Another screw conveyor is located inclined to transfer the cuttings from shale shaker and feed to the vertical cuttings dryer. The 3rd screw conveyor is inclined and under the vertical cuttings dryer. It is used to transfer the drying cuttings from VG dryer to the cuttings containers. 1) The 9 inch mini size decanter centrifuge: GNLW223, GNLW224 series. It is mainly for waste water and mining industry separation. 2) The 14 inch most popular size decanter centrifuge: GNLW363 series. The size is widely used in oil and gas drilling and for industry separation. 3) The 18 inch big bowl centrifuge for bigger capacity: GNLW452 series low speed big bowl and GNLW453 series high speed centrifuge. 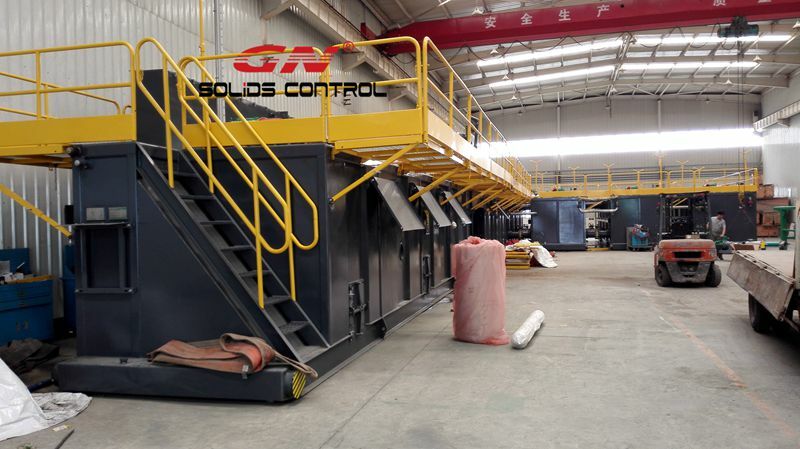 5) The largest size GN Solids Control does make is 30 inch: GNLW764 series. GN Solids Control offers different design for centrifuge driving systems: fixed speed motor drive system, variable frequency drive system (VFD centrifuge), and full hydraulic drive system (FHD centrifuge). No matter what kind of driving system, GN Solids Control will include the pump driving control inside the centrifuge control panels. But sometimes, clients want to use their existing pumps, if they use the pump control inside GN centrifuge control system, it will be fine. In some cases, clients use their old pump control panel with their own pump. In will cause overload of the centrifuge. It is not recommended. Why the centrifuge feeding must be inside the centrifuge control panel? There is safety protection inside the centrifuge control system. 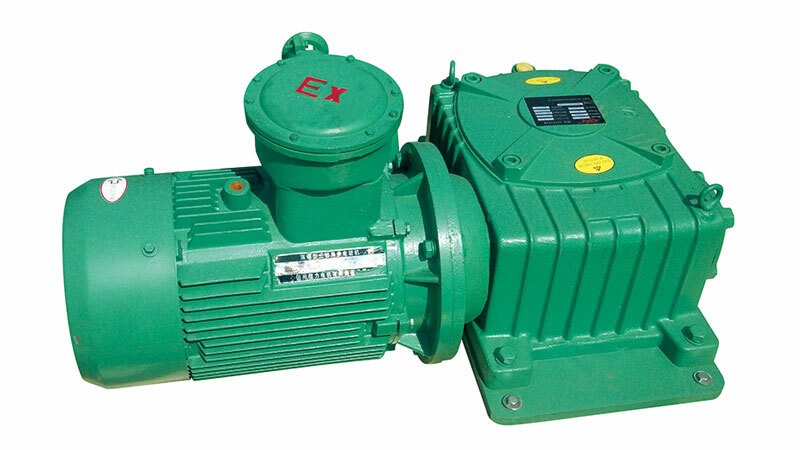 If the pump control is related to the centrifuge control (main motor drive and back drive motor), in case the centrifuge is overload, and the current will be increased. When the current increase over the setup data, centrifuge control system will adjust its control: to reduce the pump speed to reduce the feeding. When the pump feeding capacity to centrifuge is smaller, the current increasing will be reduced. When the current drop down to a setup safety data, the centrifuge control system will increase the pump speed to increase pump feeding, the centrifuge can handle a bigger capacity that it can do. If clients want to use their own pump to feed the centrifuge, it must be for sure to relate and interlock their pump control to the centrifuge control. It can avoid overload and protect the centrifuge well. drilling mud is firmly requested, which is also a method of cost saving. The drilling mud recycling system of the diamond core drilling can also be called as solids removal unit. As the drilling site of diamond core drilling is always space limited. 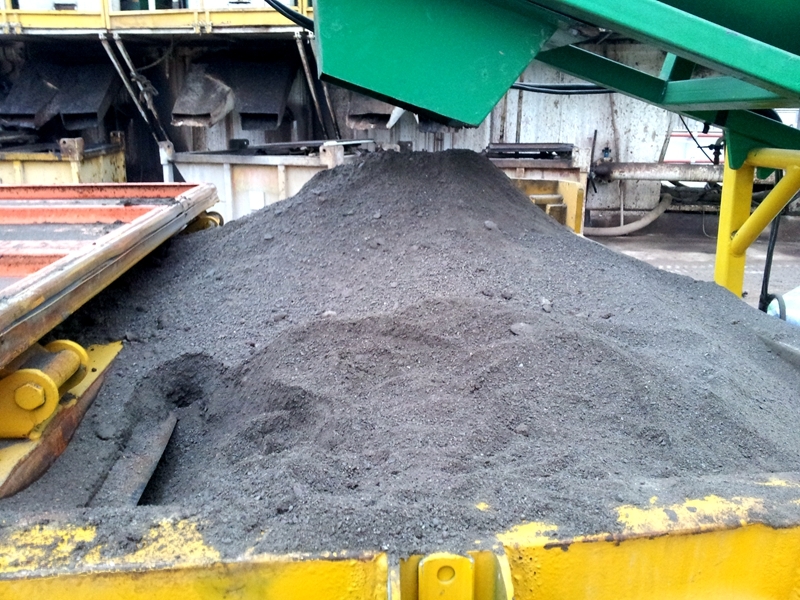 The solids removal unit needs to be as compact as better. GN has 2 equipments that are made especially for diamond core drilling: Mini shaker and Mini centrifuge unit. GN Mini shaker is 2-panel screen design with vibration G force up to 7.1 that is used to remove the coarse solids in the drilling fluids. Heat treatment on whole shake deck greatly strengthens the deck to ensure a better performance on drying the solids. GN Mini centrifuge is 2-phase type for solids and liquid separation, 9 inch bowl diameter, with speed up to 3800RPM, the centrifuge could effectively remove the solids with size of 2 microns in the mud. Stainless steel material of the bowl guarantees the good working for all kinds of chemical liquid. The protection of tungsten carbide tiles on screw and ceramic casing at solids discharge port significantly extends the life time of the centrifuge. The mini shaker and mini centrifuge could be ordered separately as well as included in GN’s solids removal unit. 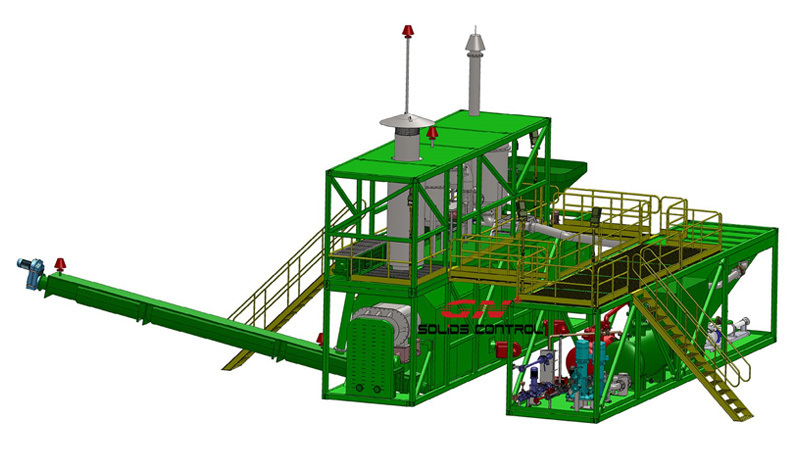 By fixing the shaker and centrifuge unit on a tank, GN could provide clients a very compact mini mud recycling system-SRU. GN SRU can also do the job for re-configuration the drilling mud. GN also has modular type solids removal unit which is transportable by helicopter to remote area. GN solids removal unit could greatly decrease the solids content in drilling mud so that to make the drill bit down hole perform well. It could greatly reduce the consumption for water and drilling mud, which is a large saving and benefit for environment. GN now has brochure especially for solids removal unit, any interests, please feel free to contact with GN. 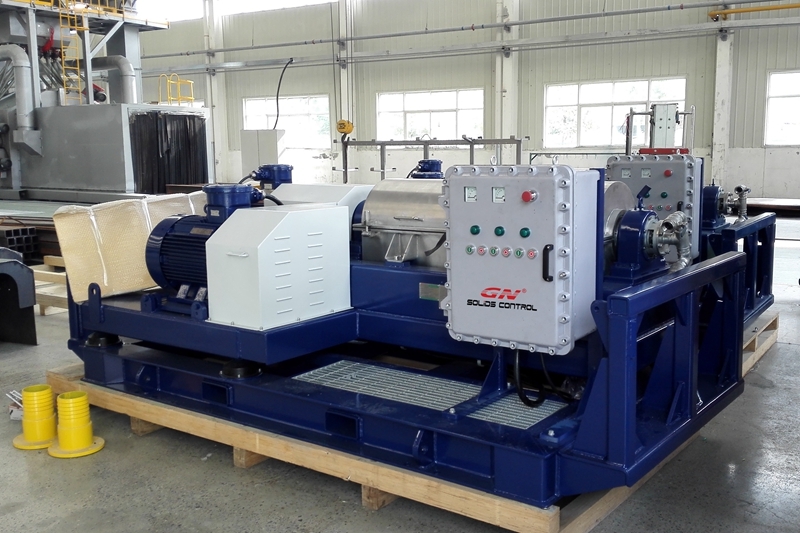 Most of the horizontal directional drilling mud system is not equipped with decanter centrifuge unit as by using the 3-phase separation system including shale shaker, de-sander and de-silter unit, it can work good enough for removing the solids from drilling fluids. Centrifuge is relative high cost, which is also a reason the drilling contractor doesn’t equip it in the mud system. However, for some high request drilling condition, the driller may use the heavy mud for better drilling performance. Sometimes the drillers add the certain chemicals to make the drilling mud heavier so that the mud can better protect the wall of the drilling hole. If the driller went to drill another well, the heavy chemicals need to be separated, and then the centrifuge could be used to do this job. In some other conditions, after many times recycling of the drilling mud, there is much ultra fine solid particles that cannot be removed by the shaker and cyclone unit, and then the centrifuge unit is needed. 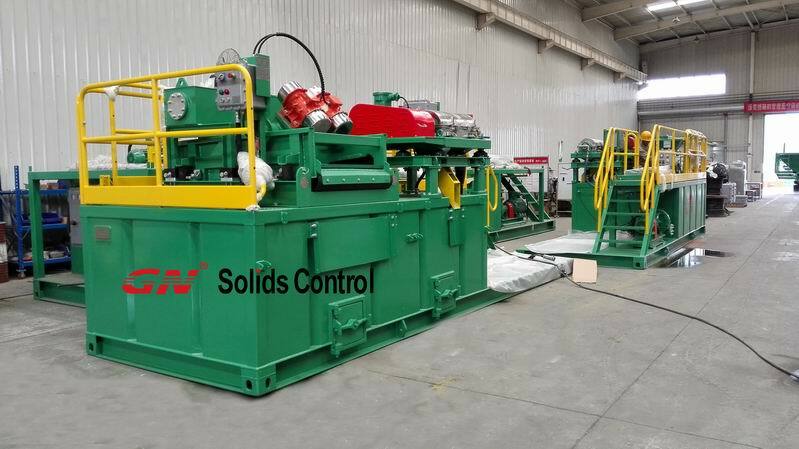 GN Solids Control has nearly 10 years in fabricating the drilling mud system for HDD projects. This type mud system need to be compact structure and easy for transportation. See the picture in this article, both the de-sander and de-silter unit are equipped with under flow shaker for drying the discharged solids. The shakers used are 2-layer screen design. The bottom layer screen is used as primary shaker and upper layer screen to dry the discharges out from the cyclone units. This design greatly reduces the footprint of the mud system. And all tank top surface equipment are pre-installed on a frame with same base dimension as storage tank. When transport the mud system, the shaker and decanter centrifuge units could be removed by lifting the frame for fast disassemble. With the frame, the equipment could be easily transported by flat bed trailer. GN can provide both standard and customized HDD mud system for clients. Just send us your request, and then you will get a satisfying and cost effective solution. Every year, GN Solids Control will manufacture and export large quantity mud tanks used in drilling fluids solids control system. As a specialized manufacturer of solids control equipment, the rectangular shape mud tank is one of GN main production. Besides this type mud tank, GN is also able to design and manufacture the oilfield fuel tank. Oilfield fuel tank is used to store the fuel like diesel to be used in engine that supplies the electric power for the oilfield. GN just finished the fabrication of one unit fuel tank and right now this unit is put in our assembling yard for delivery. From below picture, it could be seen that this fuel tank is very striking red color telling people this tank is used to store flammable material. 1. GN’s fuel tank is designed horizontal cylinder type to be mounted on an oilfield three runner skid for drilling site easy moving. There are 2 tanks, one fixed horizontally on skid is the main tank for fuel storage, and the other smaller one could be lifted vertically when using to be used as a temporary storage tank from where the fuel will flow to the engine. If need to be transferred to another site, the smaller tank could be put down horizontally for easy and save transportation. 2. These 2 tanks are connected with hose pipe for fuel transferring. The transfer power source is the pumps mounted on the skid. 2 pumps one is in use while the other one standby. The bigger tank has a capacity of 8 cubic meters, it could be transferred a quarter of capacity to the smaller tank. It means the capacity of the smaller tank is 2 cubic meters. After raised up, the fuel in the smaller tank could flow to the engine freely under the gravity. GN’s fuel tank is designed to be able to put in a 20 ft container for easy sea transportation. For more information on this fuel tank or other solids control equipment, please feel free to contact with us. De-sander is very popular equipment used in solids and liquid separation processing. It always contains cyclone unit and steel frame. With different diameter of the cone body, this cyclone unit could separate the solid particles with different sizes. GN’s de-sander is using 10 inch cyclones which could remove the solids size down to around 45 microns. GN’s de-sander unit is used in drilling industry to separate the drilling cuttings from the drilling fluids. 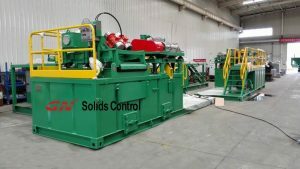 Traditional de-sander units don’t have the under drying shaker for maximum recovery of the drilling fluids liquid, thus a large amount of valuable drilling fluids was lost. However, this type de-sander and even the de- silter unit are very simple structure and cost effective. To make the discharged solids much dryer, GN prefer to suggest choosing the de-sander unit with a under drying shaker which could recycle much more drilling fluids. This could reduce the waste discharges to environment and the cost on drilling fluids materials. GN has a de-sander model with under drying shaker of 2 layers screens panel. This unit is functioning as both primary shale shaker and de-sander unit. The drilling fluids gets into this de-sander unit via the mud distributor pipe and then flow on the bottom layer screen firstly for primary solids control. Liquid gets through the screen mesh and falls down to the under located mud tank. Large size particles will be discharged out of the shaker. And then the liquid will be transferred by a centrifugal pump unit to the de-sander cyclone unit for fine solids separation. The mixture of liquid and solids discharged from the cyclone will come to the upper layers screen for drying processing. Here, to prevent the damage of screen mesh resulted by the strong impact force of solids discharged out from the cyclone unit, GN designs small buffer box to cover the outlet of the cyclone. This buffer box is small enough to make the unit more compact. GN’s double-layer screen panel shale shaker can also be used as only primary shaker for much fine solids separation. Besides de-sander unit, de-silter unit can also use this type shaker as drying shaker. Chinese traditional New Year will start from the February 8th 2016. It is known that China New Year is named with twelve kinds of animals, or we can also call it Chinese Zodiac. This year the animal is Monkey. All twelve Chinese Zodiac represents twelve kinds of human characters, while the Monkey emblems to be flexible thinking and dealing with affairs. Spring Festival is the most important festival to all Chinese people, just like the Christmas in West and Hari raya for Islam. Chinese Spring Festival means reunion, so all persons working outside will go back home to see their parents, even the grandparents. All the brothers and sisters will stay together to enjoy the happiness and share their achievement in past year. Spring Festival means Reunion, Spring Festival means going home. Spring Festival means a new beginning. GN’s employee comes from all corners of the country. Some or our guys will spend over 30 hours on the train home. In order to give everyone sufficient time to get together with their families, GN’s holiday started from February 3rd. February 15th is the first day for work in New Year. So, if you have any request, please make calls to our sales guys’ cell phone number. If you are GN’s old customer, you may have the cell phone number of right person. If you are a new customer, please call to our USA office at 713-878-0880. In regards to the Monkey, China has a very classic TV series called Journey to the West telling a story of master and disciple total 4 persons who overcome thousands of difficulties finally arrive at the Ancient India to get Buddhist scriptures back to Tang Dynasty. During this story, the eldest disciple is a monkey who ever created a tremendous uproar in the heavenly palace and later converted to Buddhism to assist his master to get the scriptures. It is a very famous God evil spirit novel in China. Any interest on China history and Chinese myth, you can search and peruse it.